That looks bloody amazing from all the entries I have seen you deserve to win by far I can see this in the game for sure the eve guys and fans will love it good luck hopefully ill get all my deadlines behind me and aim for second place! Haha...too late now, I am in...j/k Thanks for your kind words and I wish you will finish yours and enter it on time. Any statistics about nbs faces? Components, Groups? Desole, I don't keep track of polycount, components and groups. But I can assure you that there are tons of them. I guess my body was so tired from all the lack of sleep from the past week and needed to shut down. Well, it's good. I needed to recharge. I woke up at 6am, just an hour before getting ready to go to work. 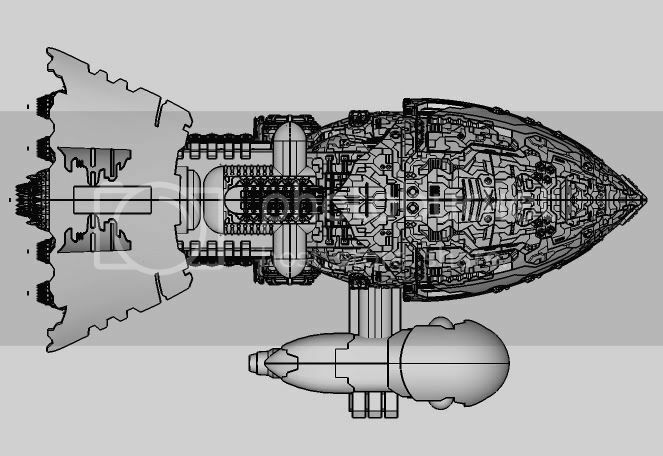 I had time to only block the other part of the ship that could be another smaller ship on its own. Below are the 6 views (front, back, left, right, top, and bottom) that are required for the submission. 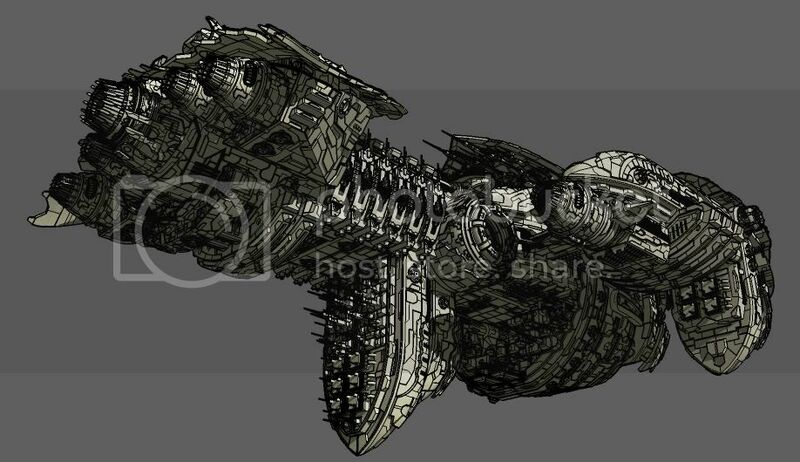 So my plan is to enter them as well as have another entry with all the perspective and close up of the starship. 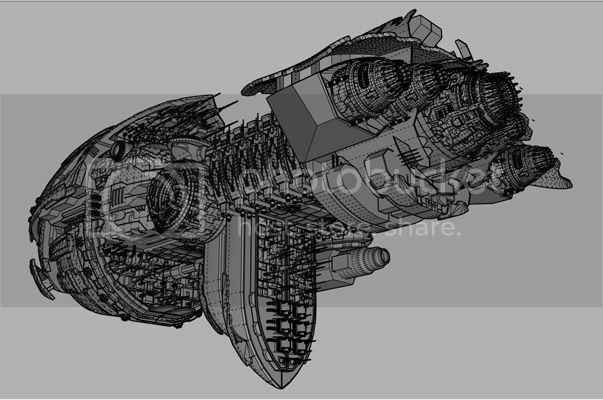 All of them are still WIP and I have lots to do (adding details, panels on the hulls, etc.). 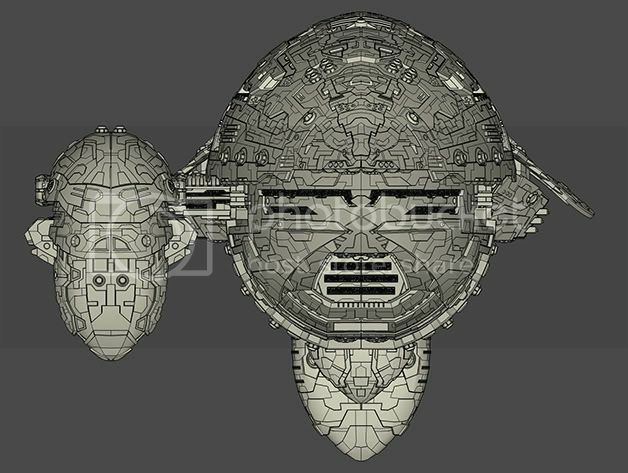 I will also have interior of some docks for little starfighters or something. Last edited by ken28875 on Thu Sep 30, 2010 4:39 pm, edited 3 times in total. Maybe I missed it but do you have a name for it ? Been really enjoying this thread. Thought I would post this as an inspiration for you to keep visualizing, as we may need them sooner than we think. yeah your going to have to think of a good name now! Well my deadline just in so time to start on this beast over the weekend, looking really good. For the 6 views have you tried to turn edges and hidden geo off and do a view in monochrome with profiles on or edges? @ Solidseal: I won't have any colored rendering as the contest does not require it (just option). 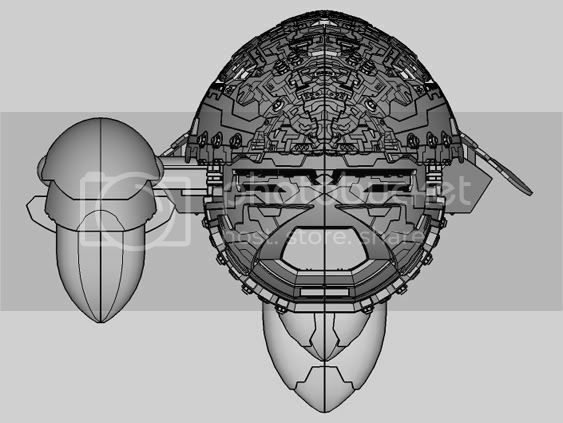 Therefore i will mainly focus on the crazy details of the model. I will probably do a some colored illustrations when i have time after the contest is over. @ Dale: Thanks, I am glad you've been enjoying this thread. Maybe they will build my starship to go to Planet "G" in the future. @ Liam: Glad to know you will be able to do something for the contest. Best of luck! Yes, I will turn off the hidden lines. What I meant to say was that the contest requires 6 views, but did not say these are my final entries. LOL Thanks for pointing that out though. honestly, I don't know how the final submission and presentation will look like. But something like this below or do some Vray renders with lines overlaid on top like the previous perspective renders might be the way to go. Last edited by ken28875 on Thu Sep 30, 2010 5:32 pm, edited 1 time in total. yeah I think a render overlaid in PS with some fancy blending might go down a treat however I am wary as they request line art only? still got two weeks before deadline so see what everybody else is doing first I know a lot of people wont post till the end also. Im sure it will look fine my plan is to do plain black and white line art and then do a digital paint of one of an orthographic view. 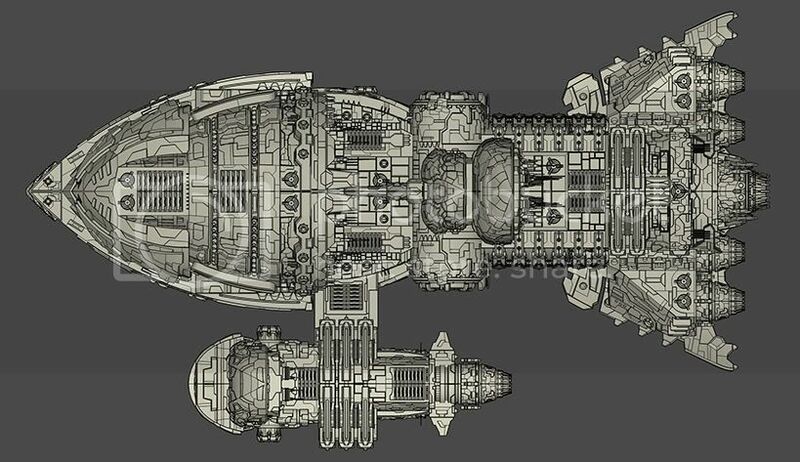 liam887 wrote: yeah I think a render overlaid in PS with some fancy blending might go down a treat however I am wary as they request line art only? still got two weeks before deadline so see what everybody else is doing first I know a lot of people wont post till the end also. Im sure it will look fine my plan is to do plain black and white line art and then do a digital paint of one of an orthographic view. How is it going with your starship? I think i will focus mainly on my high detailed model with the 6 views in black/white lines for the main submission. 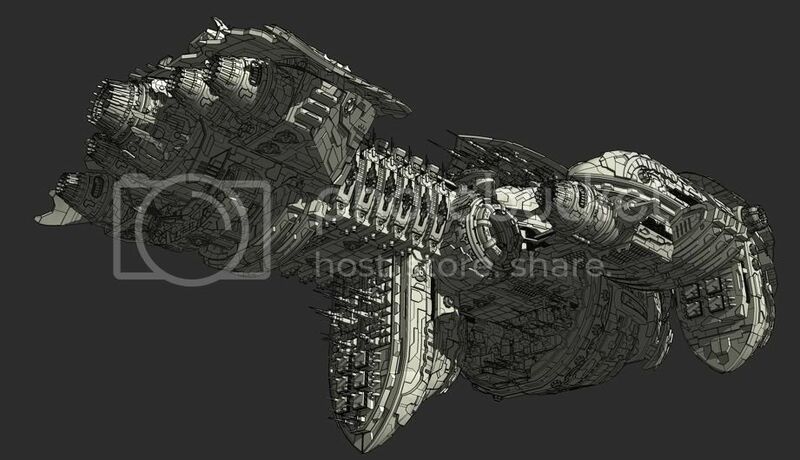 I will also submit another one with renders of different views and details like the ones below. I don't think I will have time to do a colored render. since it is just an option, I don't think it will be a big deal. There are many entries (most of the nice ones actually) that have great colored renders, but the 6 views are so simple and even lack the details. Since the judges will mainly look at the orthogonal views, I want to show some very nice detailed views. Here are some more views of the WIP from last night or this morning since It's past 6am and I am still awake. I added a lot more details, but still have to finish some parts that are still empty. But it's getting there. Thanks for viewing and have a great friday and weekend! Last edited by ken28875 on Fri Oct 01, 2010 2:56 pm, edited 1 time in total. There is a bolt missing! Last edited by michaliszissiou on Sun Oct 03, 2010 7:17 pm, edited 1 time in total. WOW! That detail is amazing! Ken it was obvious when you posted the first views of the ship that this was going to be special....well you did not disappoint.....it is magnificent....a benchmark ...very well done... ......next??????? @ artysmedia/Roberto: Thank you. I used Vray and overlay with Sketchup lines. LOL....but it's true...there is a missing bolt! Pilou has the eye of an eagle. I will ask the engineering crew on board of the ship to fix it. @ Michalis: Thank you very much for your asteroid, but I will probably not use it this time as I won't have time to do a colored render. I might use it in the future though. @ Escape artist/Jeff: Glad you like the details. Thanks. @ Coen: Thanks for your comment. Hope all is well in Rotterdam. Here are the latest WIP with more details added. One more week to go. Deadline for the contest is next Wednesday. I have the back (top and bottom) to finish. I run into a problem when rendering with Vray. It worked when it's half of the ship. But when I mirrored the model to have a both sides, Sketchup and Vray crashed. Maybe they cannot handle such a big and intensive polycount. Anyway, thanks for viewing. Have a terrific day! ken28875 wrote: @ artysmedia/Roberto: Thank you. I used Vray and overlay with Sketchup lines. What is the purpose of the small 'ship' on the side ? 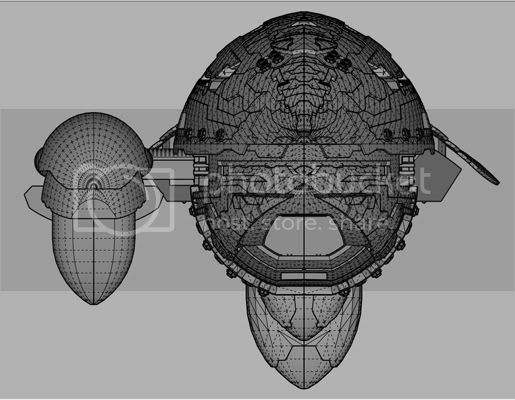 Is it an escape pod of somekind or really a part of the whole? 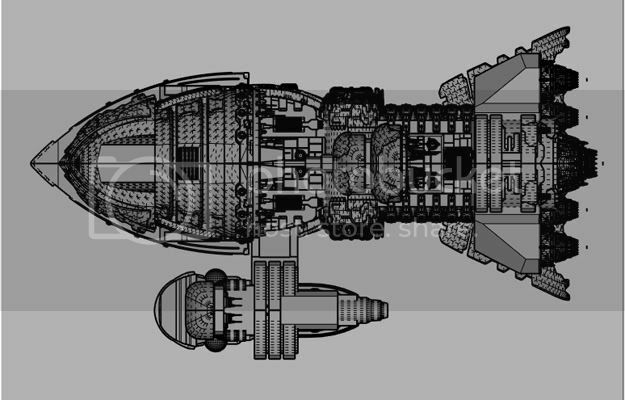 Well I just got back from London late last night and have picked up more work while I was down there with only seven days before my deadline so no chance of free time to make a ship in time for the 13th deadline. Im glad I told you about this, I think you can win you have the best entry I have seen so far and your flying the banner for all the sketchup users! As for the render and crashing try deleting everything not in the camera shot to take the size down thats what I have done in the past for some larger models! Looks great good luck ill be following the judging and results over on the eve competition website. @ Roberto/Artysmedia: You're welcome. Anytime. 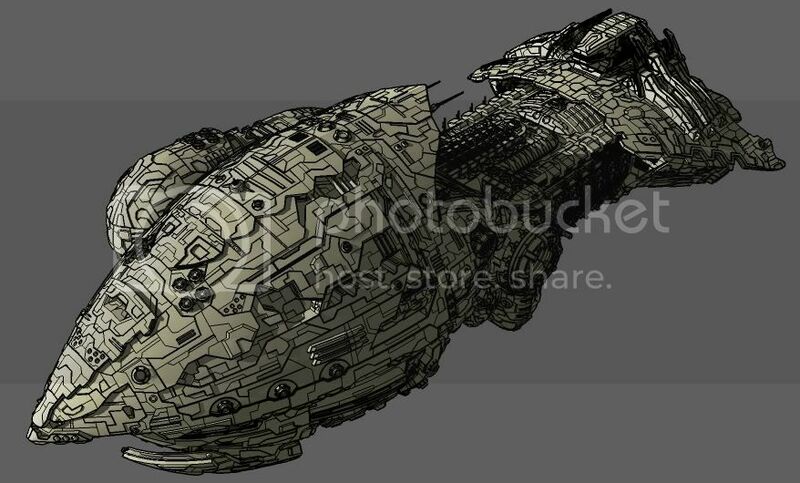 @ solidseal: honestly, I wasn't sure what to do about that second ship. I wanted to do something more interesting in shape and less symetrical. 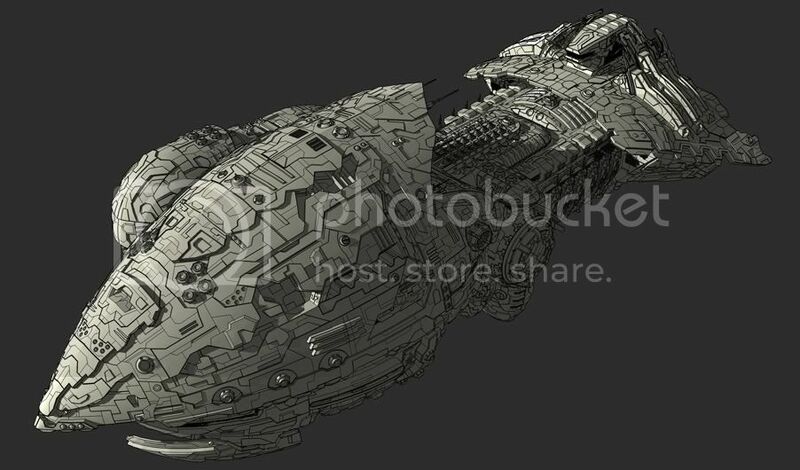 It is part of the main ship or it could be an escape ship. dolphus wrote: Ken it was obvious when you posted the first views of the ship that this was going to be special....well you did not disappoint.....it is magnificent....a benchmark ...very well done... ......next??????? @ Dolphus: Thank you , Sir. What's next? 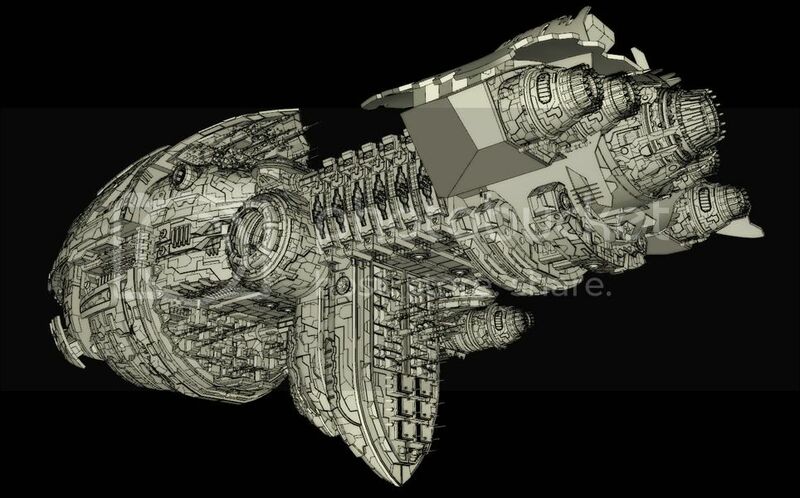 Well, I still have to finish the starship. I will probably go back to finishing the fantasy interior renders after the EVE contest. Thanks for the explanation of the "Worm thing". Very nice stuff. 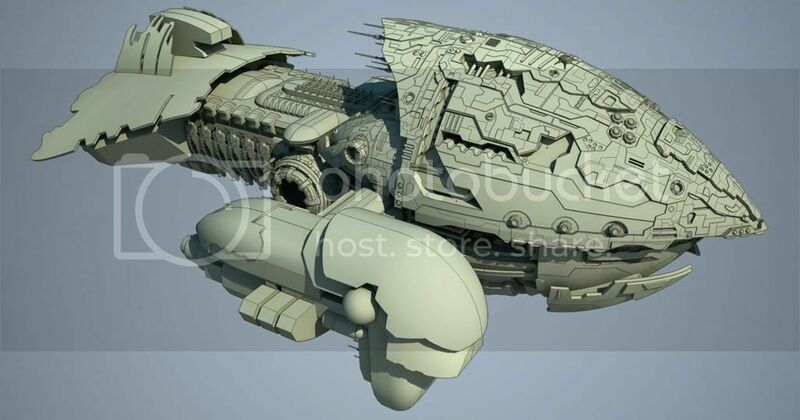 liam887 wrote: Well I just got back from London late last night and have picked up more work while I was down there with only seven days before my deadline so no chance of free time to make a ship in time for the 13th deadline. @ Liam: Thanks for your kind words and support. Hopefully, I will get one of the first 3 prizes. Sorry to hear that you will not be able to submit something. Yes, I thought about deleting things outside the camera for faster render, but this model is huge and it might be time consuming since I have many views. By the way, pretty nice solar explorer. 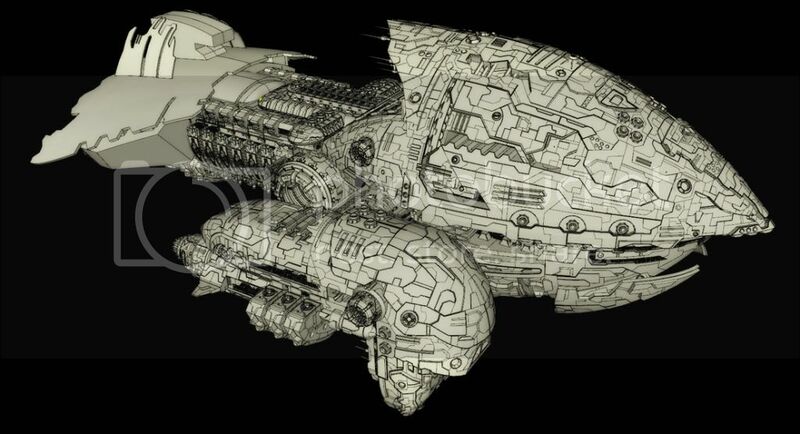 Can't wait to see some renders and more close-up details. Oh, you might want to change "Exolorer" to "Explorer". Actually "Solar Exolorer" is an interesting name though. 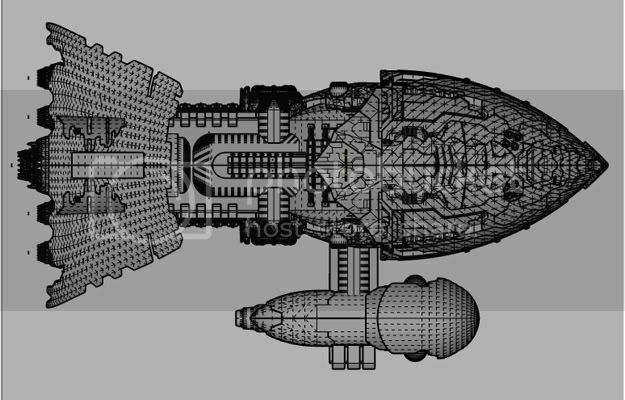 So the starship is pretty much done. I have to do some b/w renders and the presentation for submission. Hopefully everything should be done by monday. Then I can go sleep and hibernate for a week. Excellent work, Ken...the level of detail is amazing. Yeah I didn't notice the spelling mistakes thanks for pointing it out, good job its still a WIP! 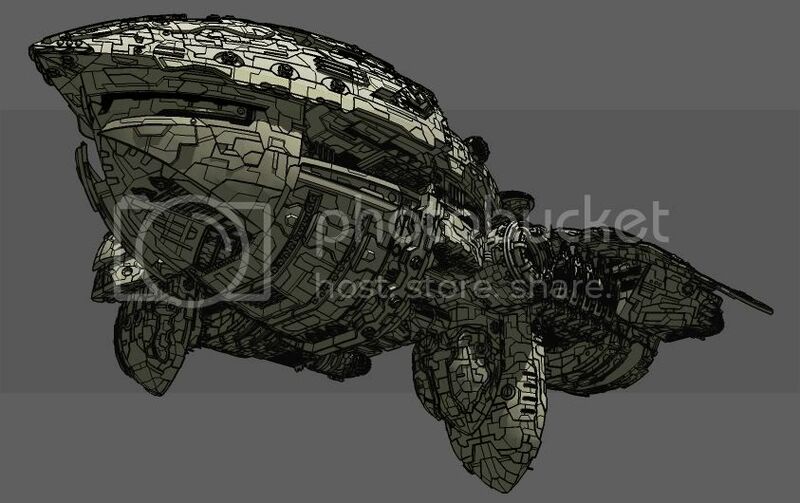 How big is the file in SU for this contest model, I would like to paint it up one day in photoshop if you would let me although not any time soon I have too much work on in real life and University, still disappointed I could not enter but im glad you will get one of the top three with an awesome sketchup model. 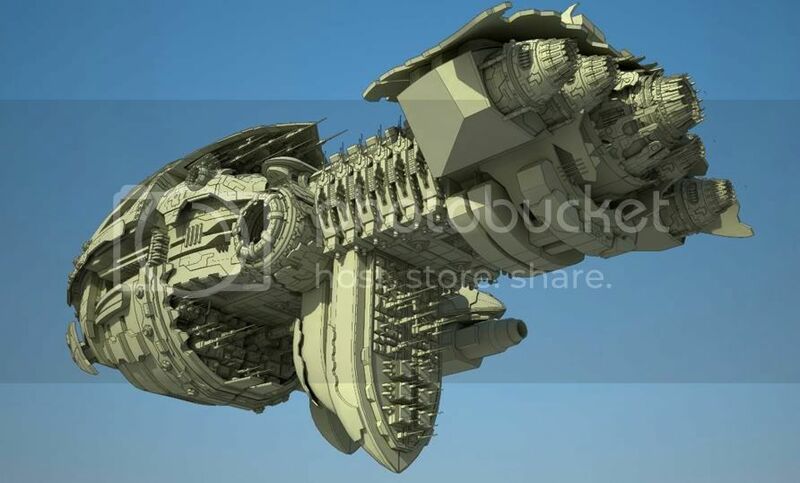 You know if you win they will put this in the game how awesome would that be! @ Marcus and Michalis: Thanks for your feedback. Yes, the plan was to have the lines thinner so you can see the details. @ Liam: I would not mind to give the file to you if you want to do a paintover. But it is huge...something like 40 MB. 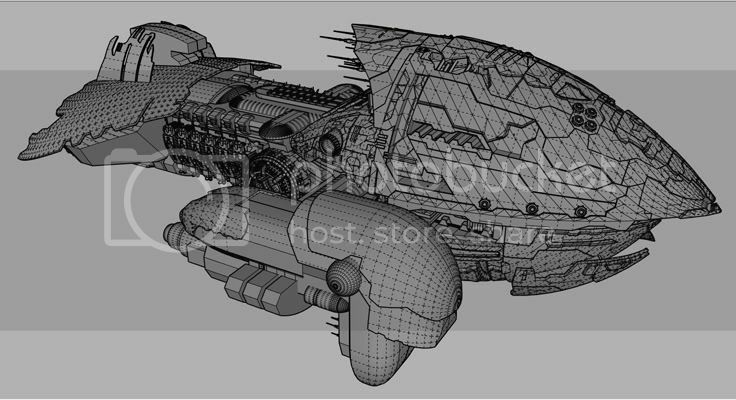 For those who love numbers, the model has over 100 components and it has almost 2 millions polygons. All right, I finally finished it. It took me 3 weeks, working a few hours each night. I am like a zombie now, but I think these sleepless nights were worth it. What's next? I will go back to finish my 2 fantasy interiors that I was working on. 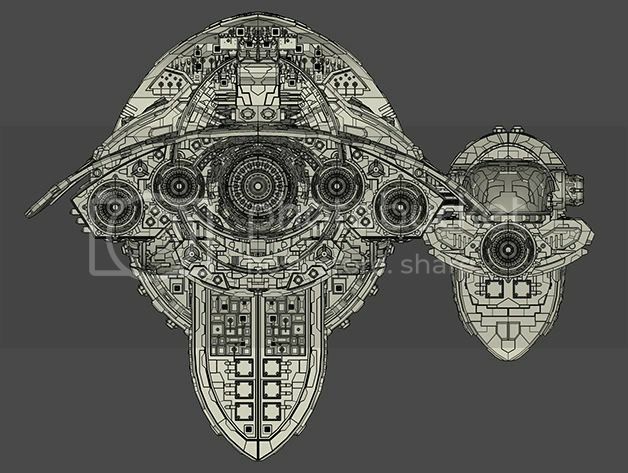 I hope you had enjoyed following this thread of the WIP of the Starship as much as I enjoyed working on it. I really appreciate everyone kind comments and support. Yeah thanks it has great lines to will be easier to paint and dont worry 40MB is ok but wont get round to it for a while im really busy with work and university. Be careful tho im sure the rules stated 6 line drawings and then an optional 'single' piece of concept work that can be rendered painted etc. You sure you can have that many images on the submission? Anyway good luck thats a sure winner or top three it has to be if not I cant wait to see what the other entries were!!!! @ Shura: haha, that's the idea. Thank you. @ Liam: Yes, I did carefully read the rules and was wondering how to break them without being disqualified. Rules are made to be broken, right? I browse all the other entries and most of them (the best ones) somehow broke the rules. Technically, we added more to the submission. 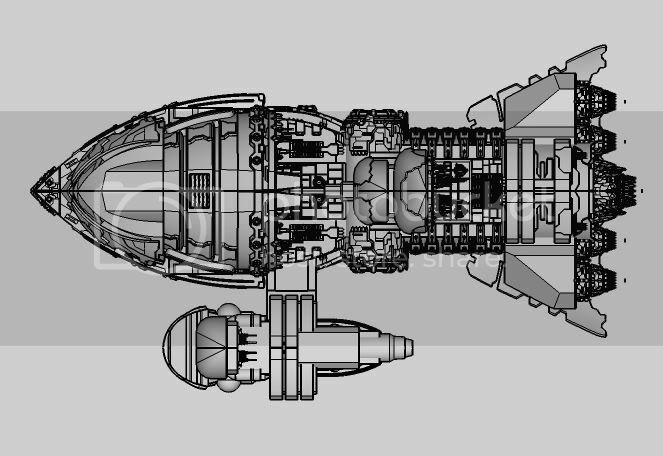 Anyway, I think the most important parts are the 6 views as the colored render is optional. 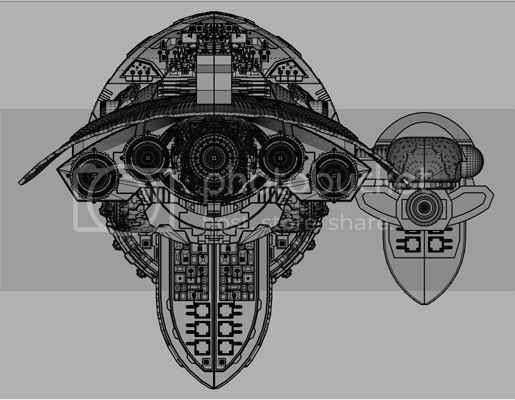 I believe this contest is not about who can have the best render but who can give them what they need to build a starship, which is the schematic line drawing . People at CCP have their own textures and set of colors for each race already. So this is my strategy, if I give them the best line drawing with details in real and accurate dimensions, I will have more chance to get a prize. My other plan is actually to sell them the model if I win. They want the line drawing to build their model. But why do it when they can actually have the real model. 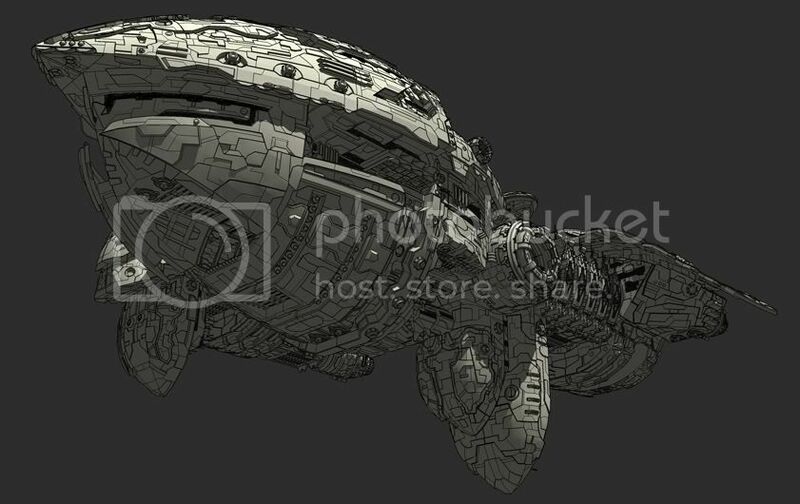 I am guessing, it will take more than 3 weeks (working 4-5 hours a day) for a Maya or Max user to build this kind of detailed model. So they will save time and money if they buy mine. It's a win-win situation. So I may not be able to give you the model, if assuming I win and they want to buy my model. Will see. Last edited by ken28875 on Tue Oct 12, 2010 5:27 pm, edited 1 time in total. You are allready a winner. 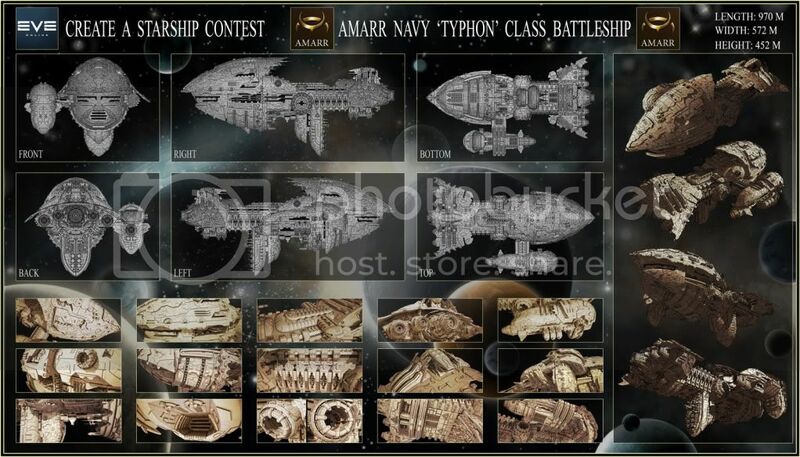 However, there are a few in the contest that have very very impressive ships. 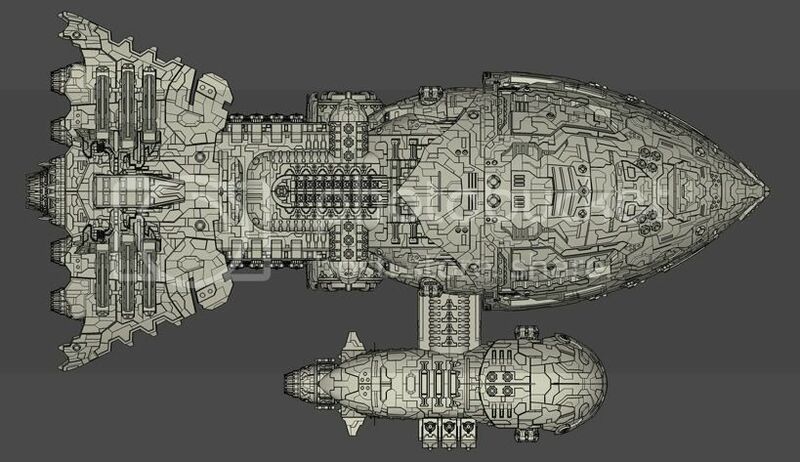 Just an idea for the contest: I play a bit of Eve, so "Typhon" is awfully close to "Typhoon" a ship in an enemy faction. 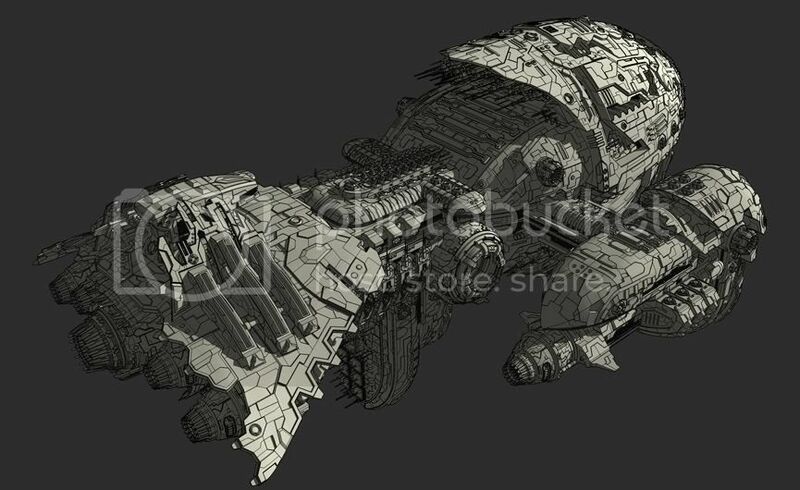 You might not want to actually name the ship, allowing CCP to do that as they have naming schemes. 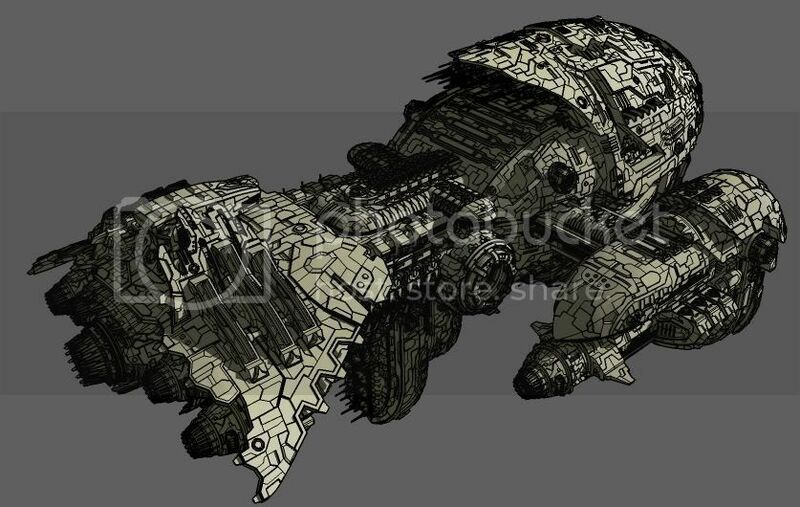 I was thinking of submitting with an Angel faction ship (seen by unknown pilots and only recently confirmed as a background story.) But I am no where even close to as good, my ideas might be good, but can't get them to form very well. Only recently picked up plug-ins. I wish you the best, though I will probably be shooting at yours rather than flying it. Though it looks like it could certainly put a dent in anything it comes across. wheres the bow icon!!!! i cant find it!!!! hehe well you know what i think of your work, an inspiration brother!! @ Solidseal: Thanks for your kind words. Yes, there are many great submissions. It will be a tough decision for the judges. @ Thank you for you support, Mr. Cochrane. @ Thank you for your nice comment, Teo. I am glad my sketchup models are an inspiration to you. Your Vray renders really inspire me to learn and improve my Vray skills.